In this blog post, we discuss door entry systems and how their installation can transform on-site security for schools, businesses, hospitals and many other buildings. With each passing day, security of people and property is taken ever more seriously. The modern person has a keen awareness of the dangers and realities of the modern world, and we are constantly looking for better ways to keep ourselves safe. In the new millennium, most people spend time concerned with their online security, alongside possessions like cars and mobile phones. However, the ‘old-fashioned’ areas of security shouldn’t be neglected. Door security is one such area. Standard lock and key entry systems have been around for thousands of years, but that doesn’t mean they’ve been left behind by the digital era. Door entry technology has risen to become one of the most valuable systems you can have in place when it comes to building security. So why should you consider it for your building? Door entry systems are a state-of-the-art, 21st-century security breakthrough. Equipped with secure locking mechanisms, they provide advanced security processes that other doors simply can’t — chief of which is that you can’t pick an electronic lock and you can’t forget to lock a door that doesn’t need a key. Door entry systems offer a new layer of protection against burglars and unwanted visitors. The tech behind the system keeps your site safe from many entry methods, while also providing solutions to a number of other problems. Door entry systems have a very unique benefit over traditional locks: they are programmable. How does that enhance security? It allows you to restrict access with immediate effect and provide limited-time access to visitors. For example, if you have a visitor coming to your place of work, school or facility, you can provide them with access that allows them one-time entrance to the building — at a specific time, too, if necessary. This is not only more efficient than providing a key to the visitor, but it also ensures they only have limited access to the building. Limited access can go further than just keeping security tight for visitors. In businesses with high staff turnover, handing out access keys to everyone could lead to security breaches. Whether an employee abuses their power or a disgruntled employee tries to access the premises when they shouldn’t, traditional lock and key systems leave very few options for increased security. Never underestimate the damage potential of a disgruntled employee. With door entry systems, however, you have absolute control over who enters the building and how. In businesses with high staff turnover, this ensures that only those who should be allowed access to the building are able to do so. Sometimes, you don’t just want security at the front of house, but also inside the premises. You may want certain areas to be accessible to a select few individuals. However, you don’t want to be handing out a million keys for different access levels, nor do you want to allow people to walk wherever they please. Door entry systems offer a solution to this problem. You can program interior doors to be accessible to certain individuals. Let the maintenance team into the storage room, onto the roof and into offices without handing out a key for each lock. The days of a big metal ring strung together with hundreds of keys is dead. Don’t let your organisation live in the dark ages. As we’ve established, door entry systems provide a wealth of benefits that enhance on-site security. For businesses, schools and any other organisation considering an upgrade to the latest door security technology, one off-putting aspect is likely to be the price. 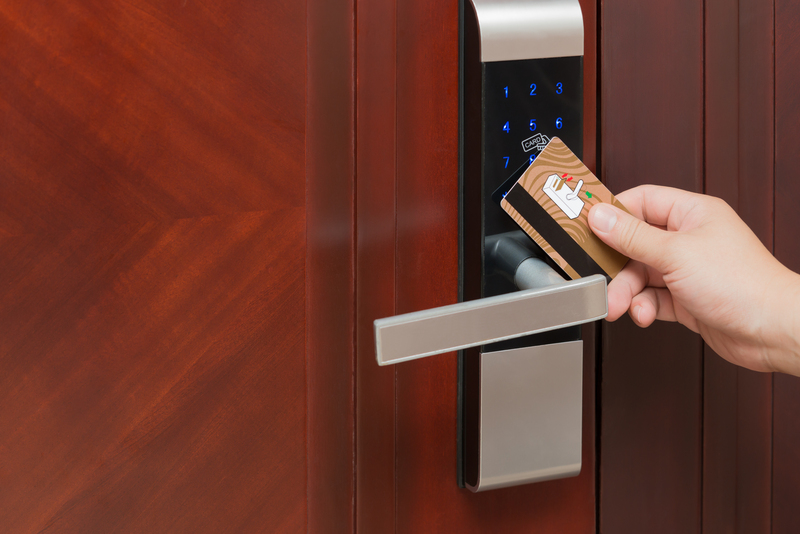 However, door entry systems could actually be a long-term money-saver. The extra level of security they provide can reduce the insurance premiums on things like contents and liability. Think it’s time your building had door entry systems installed? We can help with that. Specialist providers of Paxton door technology, Netcom92 are experts in state-of-the-art door entry systems.